2 5/16" X 8 1/2"
The size of 2-5/16" X 8-1/2" cabinet vent match most SPAs. 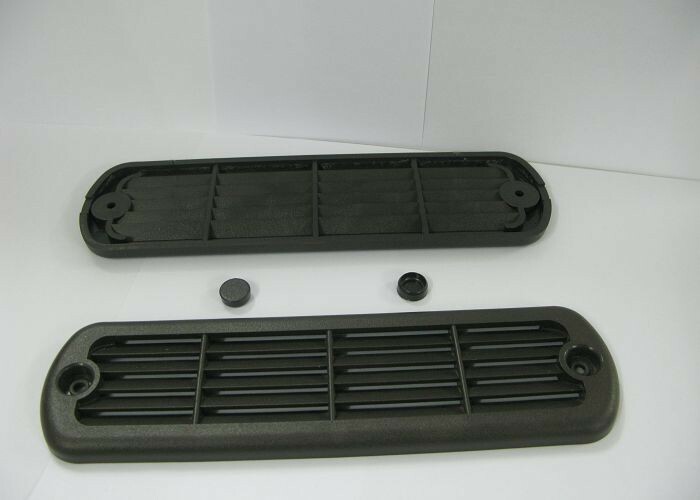 There are many colors of Spa skirt's vent for choosing,black,brown,gray...OEM projects are welcomed! Our factory offers a great selection of cabinet accessories to finish of the spa exterior design. Cabinet vents are available in popular color options, and in energy saving designs. 1. We Are Manufacturer And Welcome For OEM & ODM Projects. 2. Our Engineering Department Guaranty The Design Rationality And Functionality . 3. Our Quick & Professional After-Sales Service Can Deal With Your Problems In Time. Size: 2 5/16" x 8 1/2"
China Good Quality Hot Tubs Parts Supplier. Copyright © 2015 - 2019 hottubs-parts.com. All Rights Reserved.